CRM - nanometer powder,nano-powder,nanometer material,nanometer rare earth oxide Products-CHINA RARE METAL MATERIAL CO., LTD.
Nanometer material is develop very quickly. From 2001 year, CRM material co.,limited offer a series of nanometer powder. In the past years, Our customer are satisfied with our powder. Mainly frange include oxide nanopowder , carbide nanopowder, nitride nanopowder, other nanopowder. 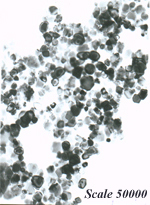 Aslo CRM offer a series compound nano-material.